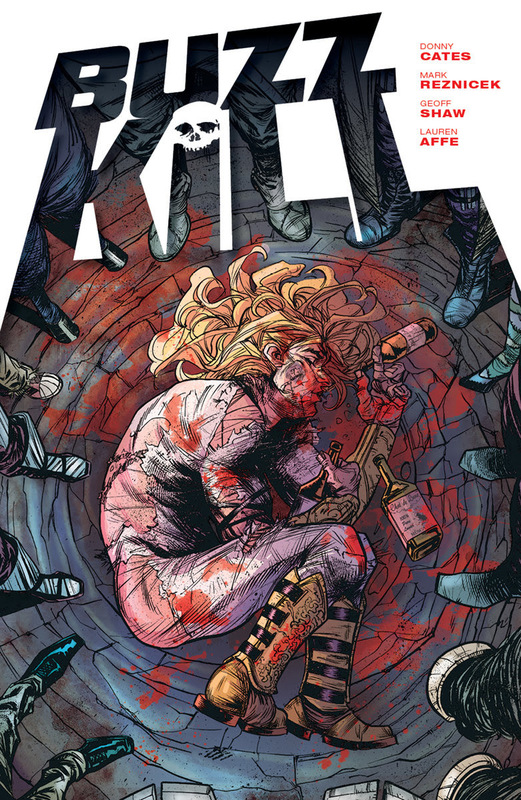 This September, Image Comics will re-release Buzzkill, a critically-acclaimed miniseries from writers Donny Cates (God Country, Redneck), Mark Reznicek, and artists Geoff Shaw (God Country), Lauren Affe, originally published by Dark Horse Comics back in 2013. Buzzkill will come back complete, in a new printing as a trade paperback. Buzzkill follows Ruben, an unconventional superhero who gets his powers through the consumption of alcohol and illicit drugs. On one fateful day, facing a world-ending threat, Reuben drank so much that he blacked out. He saved the world…but he has no idea how or why. Now, he’s in recovery, trying to get sober and piece together not only the events of the night in question, but the broken parts of his life as an alcoholic and an addict. Buzzkill trade paperback will hit stores on Wednesday, September 27th.